Local governments, tasked with the delivery of clean and safe drinking water and the protection of resources, need capital to make improvements to infrastructure and additional resources to comply with changing regulations like the Clean Water Act. With an increasing user demand, limited financing and an aging asset base, local governments across America are confronted with the sometimes difficult task of providing their communities with safe, reliable, and efficient utilities. One way that cities and municipalities can address acute problems they are facing is by partnering with the private sector to provide access to critical resources like expertise, labor, technologies and capital. David Schneider, Veolia’s Vice President of Business Development, was invited to a recent United States Conference of Mayors (UCSM) water council meeting to talk about the different approaches of public private partnerships (P3) and how they can drive operational excellence in municipal water and wastewater infrastructure. As discussed in his presentation, a public private partnership can come in all shapes and sizes depending on each city or community's unique needs. Cities and municipalities partner with the private sector because they need updates and upgrades to customer service programs, expansions to infrastructure and introductions to new expertise as experienced operators exit the workforce. Operational partnerships allow for the public sector to still remain in full control of their systems, manage assets and maintenance, introduce new technologies and afford the updates to provide efficient utilities without dramatically raising customer rates. System level P3s allow for the public entity to outsource operations and maintenance of multiple water and wastewater assets, collections systems and metering to the private sector through delivery models like lease agreements or concessions and performance based operation and maintenance contracts. 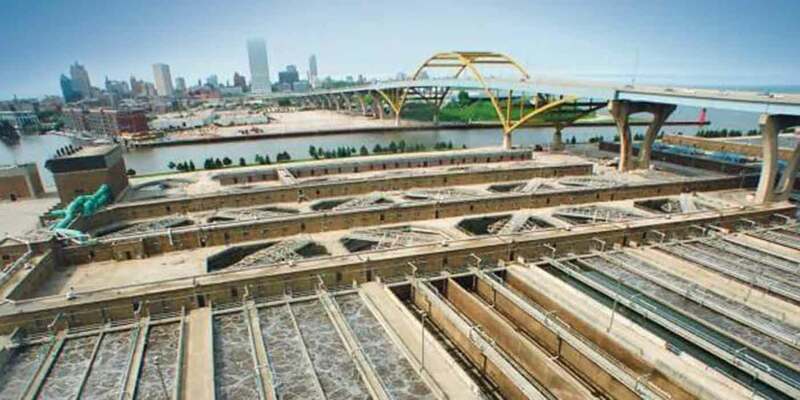 The Milwaukee Metropolitan Sewerage District outsources its 320-mile system of interceptors and main sewers that services a population of 1.1 million in 28 municipalities. The partnership, renewed in 2016 for a second 10-year term, has achieved new levels of compliance, service and innovation. Through models like design-build, design-build-operate and design-build-operate-finance models, cities and municipalities can outsource specialty assets or system expansion projects, desalination facilities, biosolids, advanced treatment facilities, while still remaining in control of their system. For example, Honolulu, Hawaii, through a project level P3, saved the city up to $35 million over the course of the partnership. Honolulu worked within an operation and maintenance model to employ state-of-the-art technology to treat secondary effluent. Service level partnerships allow for cities to maintain public ownership, control over operations and the workforce while still benefiting from the private sectors expertise. Public entities can outsource specific system components like customer service, metering or capital program management. Service levels allow cities the opportunity to target specific challenges, just as Winnipeg, Manitoba agreed to with a 30-year agreement on capital improvements. The private sector provides its expertise and best practices on upgrades and improvements while the city continues to operate the facilities with its own employees. Download David’s presentation to learn more!